Permadoor will partner with window and door supplier and installer Wrekin Windows at CIH Manchester this year to offer the UK’s leading supply and install service for residential doors and windows in the social housing sector. The combined offer of the two Epwin Group companies is designed to simplify the selection process and offer tangible reassurances and guarantees to RSLs visiting the event. Permadoor is the original manufacturer of specialist composite doors in the UK with more than 25 years’ experience in the affordable homes, new-build and social housing markets. The company understands the requirements of these sectors more than any other supplier having developed a number of product firsts based upon the requirements of the sector, including DDA compliant products, communal doors and others. Permadoor products will shortly be available as BIM Objects. Wrekin Windows’ credentials are equally impressive. The company has specialised in social housing since 1985 and is well established as the UK’s leading supplier of windows to the sector. Its comprehensive contract management service has been responsible for the supply of tens of thousands of windows including design, resident consultation and ongoing liaison, bespoke production, delivery to site and installation and post-installation aftercare. In addition to Permadoor and Wrekin’s unique combination of expertise and experience Wrekin has new products on show that have been designed specifically for social housing applications. 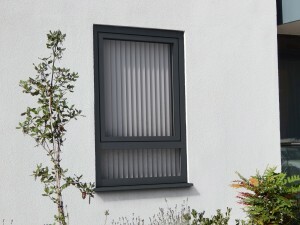 The company has launched a unique externally flush Tilt-Turn window system designed for social housing applications, especially for medium and high-rise buildings. The distinctive sleek, modern urban design of the flush exterior frame avoids the overlapping of framework associated with conventional PVC-U systems, making it especially suitable for applications such as new-build apartments, housing hotels, offices, universities and colleges. Performance of the windows is exceptional: The Wrekin Flush Tilt-Turn can achieve A++ WER Rating (U-Value 0.8 W/m2.K, in line with Passivhaus standards) with argon-filled triple-glazed units, due to its energy efficient six-chamber sash and five-chamber outer frame as well as the inclusion of Profile 22’s innovative Aeroframe thermal barrier. This window design offers superb thermal performance thus eliminating the need for expensive krypton-filled units. The high performance weather seal system allows for more efficient drainage of water, greatly improving weathering and thermal capabilities. Permadoor and Wrekin will have an experienced team at CIH on Stand 50 who are able to advise proactively on the increasingly complex elements of window and door supply and fit in new and refurbishment projects.